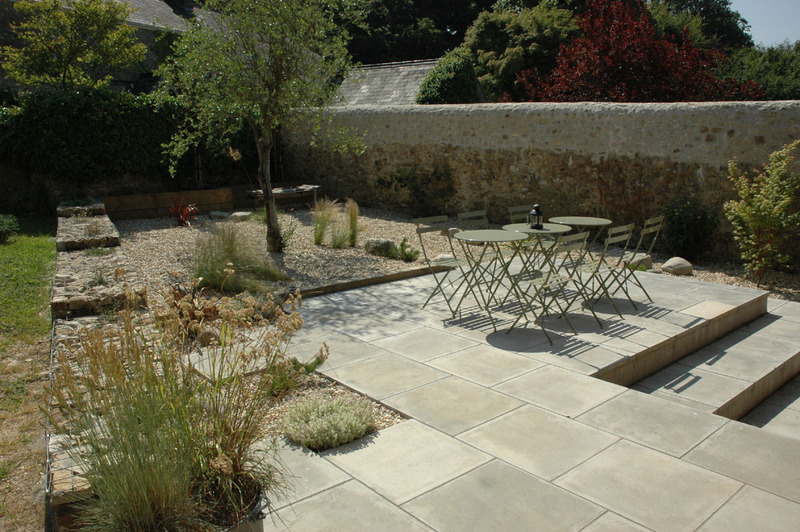 This quirky courtyard in Uplyme was designed for low to no-maintenance during the summer, when it’s busy with visiting holidaymakers staying at The Wainhouse. 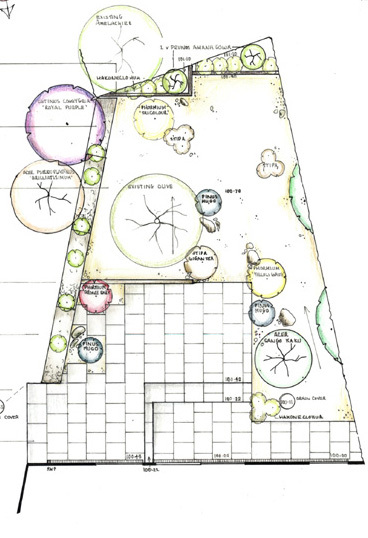 This was an interesting brief – defining a garden area for the new building within Diana’s walled plot (originally the dairy yard) , without completely blocking it off with fencing. 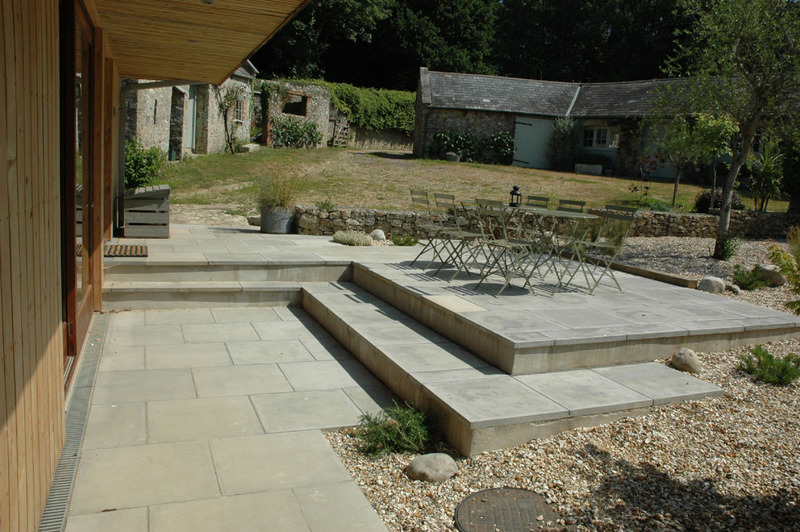 We wanted guests to be able to see across the rustic farmyard, while at the same time feeling they have their own space. 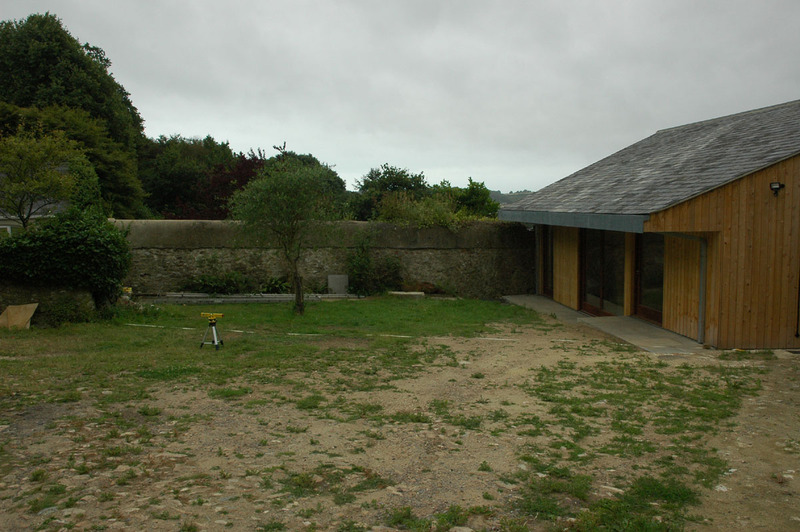 A low gabion wall was constructed using the same chert stone found in the yard, which sits comfortably with the existing rustic walling but also fits the contemporary look of the new building. 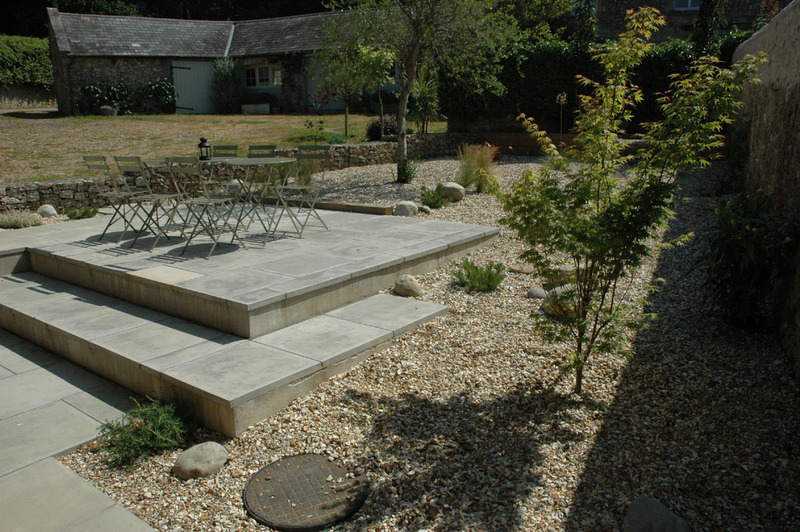 This barrier also hides a drainage channel to divert surface water away from the building during heavy rain. Plant pots hidden within the cages contain prostrate rosemary and Erigeron which will in time tumble out over the cages and soften the sharp edges. 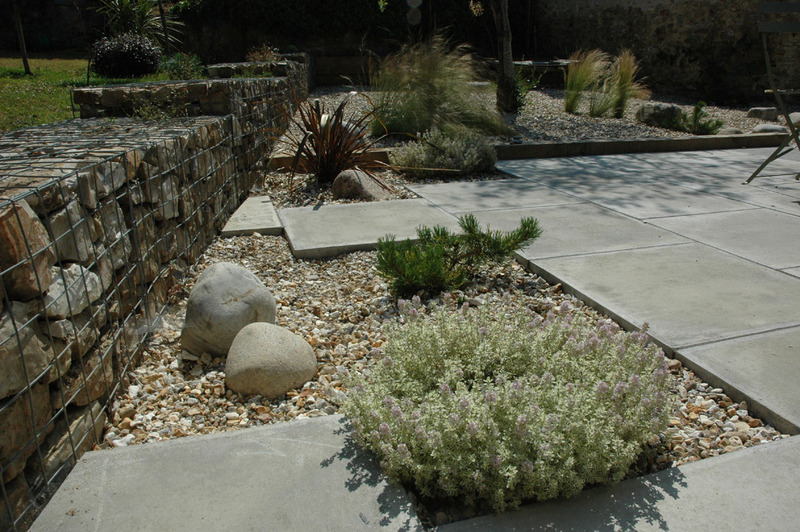 Planting was minimal, just enough to soften the hard landscaping and provide some visual interest. 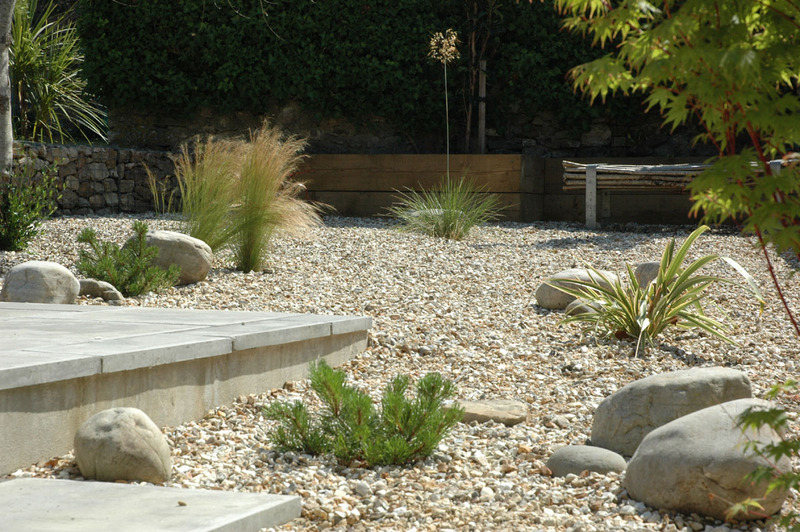 A sharp contrast in light conditions in this small space was a challenge, so there are plants for full sun (such as Stipa tenuissima and phormiums) and those for the shade cast by the wall – Acer palmatum, Hakonechloa macra aureola and Hydrangea semanii. 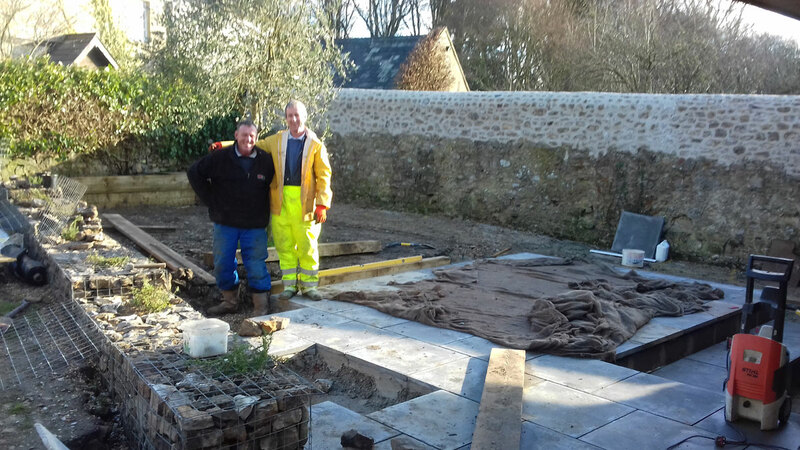 Here’s the talented team from RD Challis and Sons who did the construction for both the Wainhouse and the garden. Still smiling despite the cold and the wet of last winter…..! 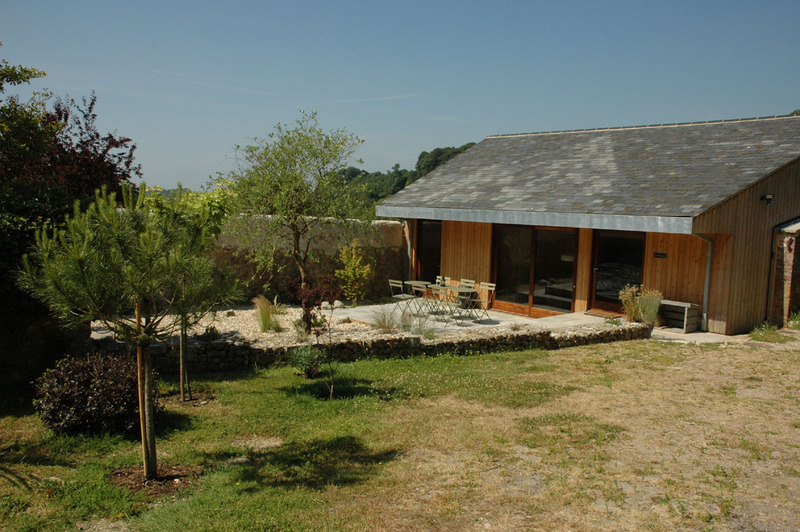 Next A room with a view….